Similar to last year, below are the top 5 books I’ve enjoyed most this year. They don’t have much to do with project management, but perhaps that’s a good thing. Matterhorn/What Is It Like To Go To War – Karl Marlantes is doesn’t pull any punches as a writer. He was a Rhodes scholar at Oxford when he volunteered to go to Vietnam and his two books are essentially different reflections on the same experience. Matterhorn is a hands on book about war in Vietnam, fictional, but obviously drawing on deep personal experiences. What Is It Like To Go To War is part autobiography, part sermon on the same topic, recounting Marlantes’ experiences with brutal honesty (including cowardice, mistakes and prostitution) and once again given a vivid picture of Vietnam whilst also stating his own views on what war does to people and what society should do about it. Decoded – I wouldn’t have thought I would enjoy Jay-Z’s autobiography nearly as much as I did, his life from dealing to fame is a great story, and he explains the lyrics of his songs in detail, decoding the slang and the meaning behind the lyrics. In The Garden of Bests: Love, Terror and An American Family In Hilter’s Berlin – A well researched book with a sprinkling of fiction to chart the course of a university professor who President Roosevelt appointed as ambassador to Berlin just as Hitler was on the rise. It makes history real, and clearly shows that evil is not quite as black and white as it appeared in retrospect and how mixed the world’s reaction to it was, at least initially. Scalper: Inside The World Of A Professional Ticket Tout – This is Kindle only, and part of Amazon’s effort to release shorter books on the platform for $1.99. This is a quick read on the practice of reselling tickets to sporting events told by a former tout. It goes deep into a subject you may not have thought much about and is short enough to retain interest in what is a fairly esoteric topic. The Hunger Games Series – If you liked the Stig Larsson (Girl Who Played With Fire) series, you might enjoy this too. Like that series it’s coming out as a movie and is easy, but gripping reading. The first book is the best of the trilogy, and the ultimately ending is underwhelming, rushed and bizarre, but it’s a great story up to that point. Brain Rules attempts to explain the complexity of the human brain in simple terms. Not an easy task, given that consciousness is far from fully understood, but the rule based framework leads to a clear book. Unexpectedly, the book helps with delivering better presentations, a lot of the rules regarding attention span, memory and visual input will be very useful to those who give presentations frequently. Another key takeaway for me was how unique everyone’s brains are, we don’t all store the same things in the same place and the uniqueness of brain layouts can explain differences between people. If you have any interest in psychology, then Brain Rules is a useful book to further your understanding of the subject. Exploring Requirements by Donald C. Gause and Gerald M. Weinberg is a very good basic text on the requirements process. It’s been available for some time, but only came out in paperback earlier this year. Although the ideas in the book are simple they are also very powerful and are the sort of things that seem obvious once you read them, but are not practiced as widely as they should be. The book shares ideas in an engaging, friendly tone, making use of some pretty frivolous examples that make it a more interesting read than your average project management book. Much of the book is focused on the insight that the requirements process can be greatly improved by clearer communication and the removal of all ambiguity, and the authors use some clever examples that illustrate their points, and offer clear steps for communicating better and removing the typical barriers to collecting requirements. 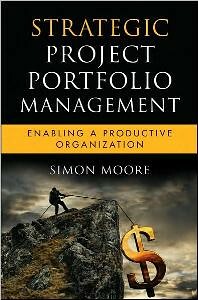 As with many books related to project management the book leans more towards software projects than other types of project, but this doesn’t harm the broad applicability of most concepts. The book is strongest on requirements gathering, but also has some tips for other areas like meeting management or brainstorming. If you’re feel a bit rusty on your requirements gathering skills this text is a quick way to sharpen your technique and broaden your perspective. This is a compact collection of essays from a post war historian. Most impressive about the book is the tragic context in which it was written, the author was “effectively quadriplegic at the time of writing” . Tony Judt, who died on in August last year, had a motor neuron disorder (Lou Gehrig’s disease) which he described as “progressive imprisonment without parole” and wrote the book via dictation arranging his thoughts using a chalet as a mnemonic device to organize his ideas, initially the work was just something occupy the author’s mind rather than a text for publication. Nonetheless, the book stands in its own right as a solid collection of autobiographical reflections and insights into the twentieth century. In addition, perhaps because the author is dying the text contains brutal honesty throughout. It’s a short book but those with an interest in post-war Britain, the evolution of capital cities or intellectual thought will likely enjoy it. Similar to Rework, Peopleware focuses on the human side of project management, and specifically undoing many of the dysfunctions of organizations that make employees ineffective. 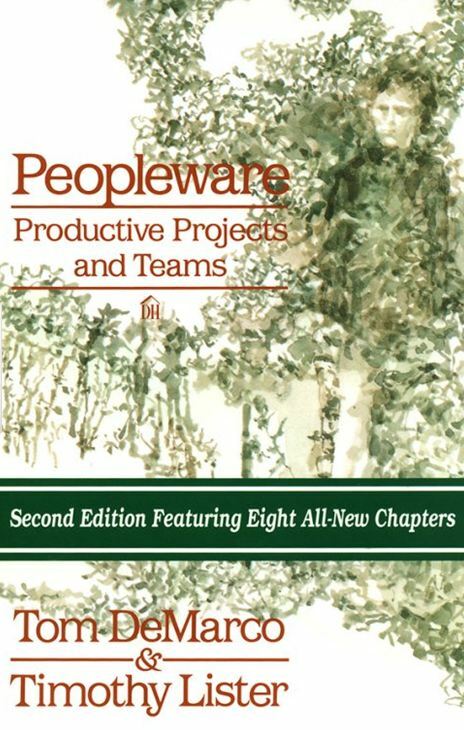 Peopleware, as the name suggests is about how individuals can achieve flow and how team dynamics make projects successful and should be useful to most project managers given the provocative ideas that it contains. Cost efficiency in office design favors crowding large numbers of people into ever smaller spaces, this increases noise and distractions making it harder for employees to be productive. The costs of these interruptions then mean employees spend more time recovering from interruptions than getting meaningful work done offset the cost savings of spending less on office space. Because of the importance of this topic, the authors spend a lot of time discussing optimal workplace design. The authors also point out that the telephone was poorly designed, rather than ringing once and then giving the receiver the choice to answer it rings incessantly until it is answered. The telephone, like the cramped office, promotes interruption. Interruption is the enemy of efficiency because it makes it hard for employees to be productive. Most directly relevant to project management, the authors argue that projects are often overstaffed during the planning phases for political reasons, planning and design requires small teams, whereas execution requires a much larger team. As the project requirements move from planning to execution, so the team size should increase. However, the authors seldom see this happen, arguing that most projects have excessively large teams during the design phase. Despite the reference to projects and teams in the full title the book focuses more on management and team dynamics, and takes an adversarial tone against many norms of organizations. In this way, the book is very similar to Rework, and is more useful to the manager of people than of projects. The book is initially written to focus on the process of designing software, but most of the conclusions are broadly applicable. 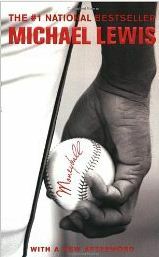 Moneyball by Michael Lewis is a classic. Lewis tells the story of the Oakland A’s succeeding with low budget and flawless insight, but also describes a statistical revolution in baseball that eventually became mainstream. One of the insights from the book is that many of the metrics in baseball are misleading. The only metric that really matters is a player’s on base percentage, whereas many scouts focused on good looks and were over focused on the ability to hit home runs. It’s interesting to see how a sport that produces so many statistics, overlooked the one that really mattered for so long. By the standard of Moneyball, Soccernomics is a disappointment. The book mirrors the fad of applying ‘economics’ (or more correctly rational analysis) to everything. Soccernomics also adds in some rash World Cup predictions. The result is interesting, but isn’t as robust as Moneyball. The regressions and unpublished papers that underpin the book feel flimsy, and unlike the Oakland A’s for Moneyball, there is no deep human story or any real demonstration that assertions in the book carry the statistical weight the authors suggest. Don’t read Soccernomics, read Moneyball. 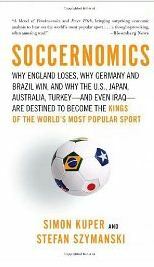 And only if you really enjoyed Moneyball and really like soccer, should you consider Soccernomics. 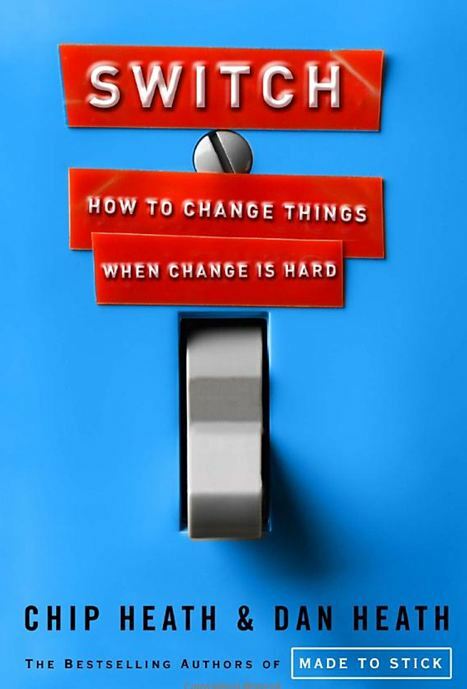 Switch is a book on change management. The publication has similarities to John Kotter’s Leading Change. The authors make the distinction between emotional and analytical motivations for change and argue persuasively that successful change requires both. This is insightful because most people tend to use either analytical or emotional arguments depending on their personality, but this is incomplete and if the two techniques are not combined change will fail. The authors use anecdotes to support their case, for example they detail how it wasn’t enough at a glove manufacturer to tell executives that they made too may different kinds of gloves, the change agents assembled all the gloves on a conference table during a meeting to make their point. Projects, by definition are changing something, and as with all change, some people will prefer the status quo. The best project managers understand how to drive the change and will benefit from this book, which summarizes a lot of thinking on the topic in an easy to follow way. John Kotter should still be considered the leading author on the topic, but Chip and Dan Heath contribute some new thinking, particularly from a psychological perspective. Not a project management, but thought-provoking nonetheless, Macolm Gladwell’s most recent book, What The Dog Saw and Other Adventures is not so much a bespoke book as a collection of articles he has written for New Yorker magazine. He groups the articles thematically, but still each chapter is standalone. If you’ve read Gladwell’s prior books, Blink, Outliers and The Tipping Point, this book lacks a unifying theme, the tone is the same. If you’re new to Gladwell he picks controversial, broad topics, often references academic research aiming to change your perception of perceived wisdom. Gladwell also writes with great structure, his topics are always non-fiction, but he uses vivid descriptions of key people in the events he describes and his reasoning flows throughout the different chapters, often using plot twists resembling fiction. Kiron Bondale has reviewed my upcoming book on his blog, “Easy in theory, difficult in practise”.